CeBIT is the world’s leading event for digital business. Organized in Hannover, Germany, the fair gathers thousands of exhibitors from tens of countries worldwide. After “Cloud Technology” in 2011 and “Managing Trust” in 2012, “Shareconomy” is the theme for CeBIT 2013. 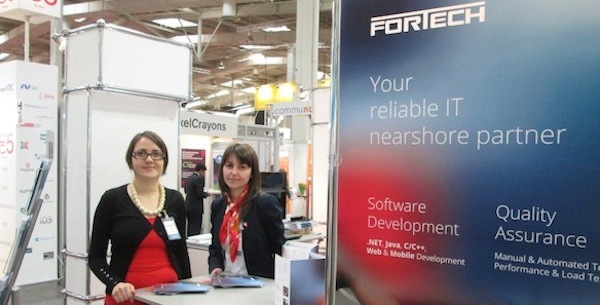 Continuing a yearly tradition, Fortech participates at the fair, exhibiting the company’s portfolio of customized software solutions, software testing services and IT support. Fortech is part of the Romanian delegation organized by the Employers’ Association for Software Industry and Services in Romania (ANIS Romania) and can be visited in the Romanian pavilion located in Hall 6/G.